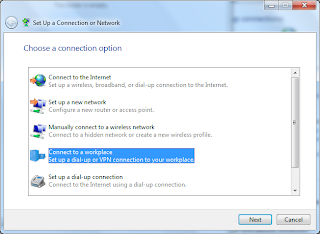 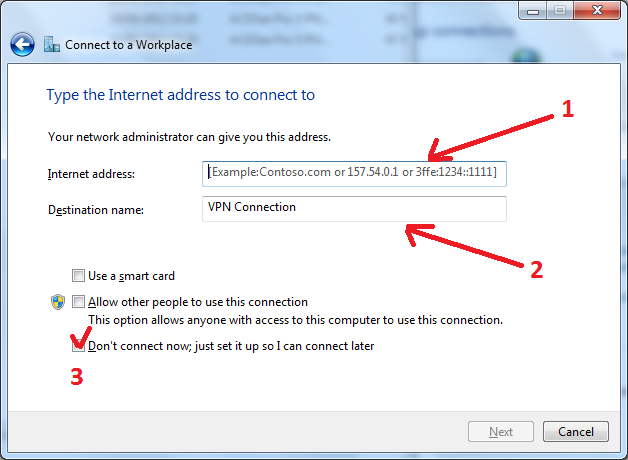 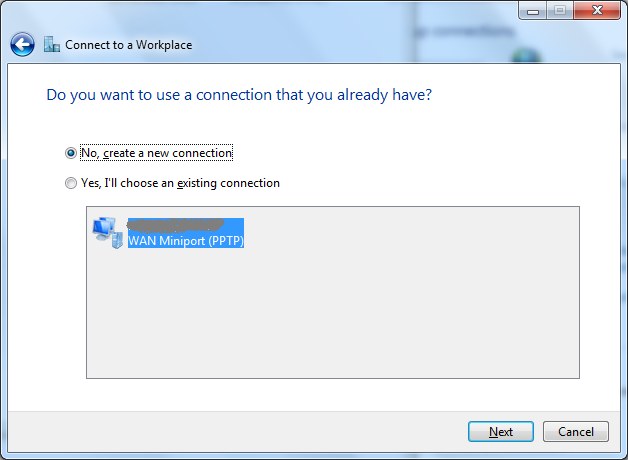 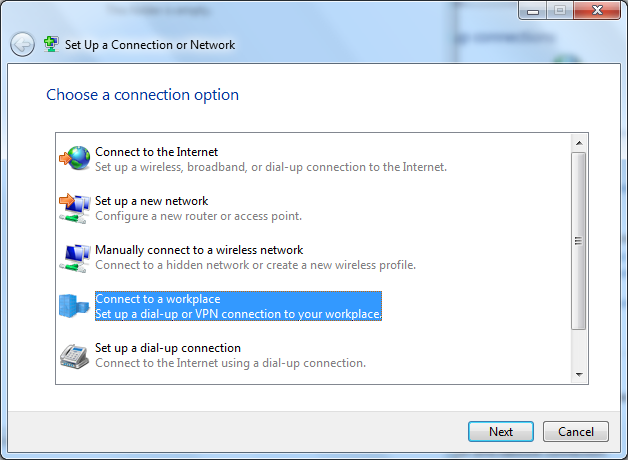 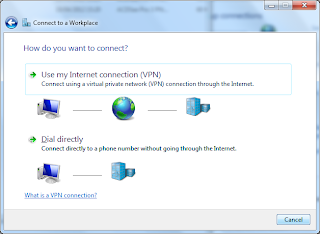 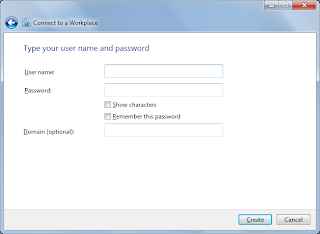 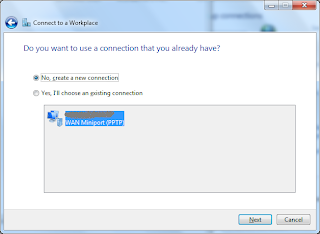 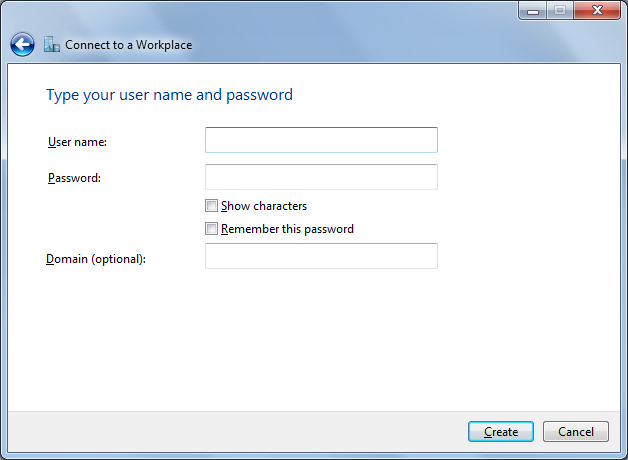 Click "Connect to a workplace" > "Next"
Click "No, create a new connection" > "Next"
Click "Use my Internet connection (VPN)"
Click "Don't connect now; just set it up so I can connect later"
Input "User name" and "Password". 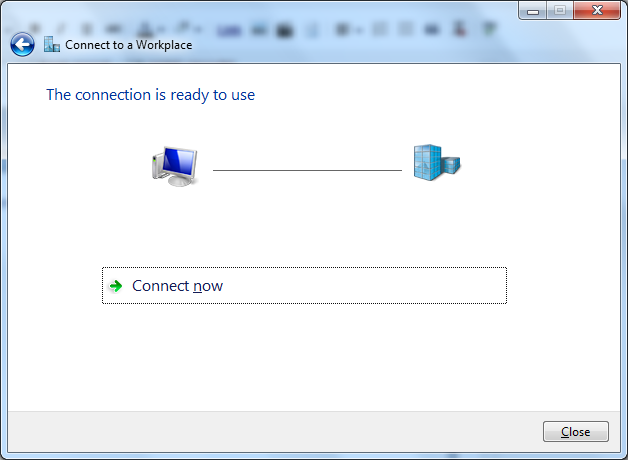 Do not connect now. 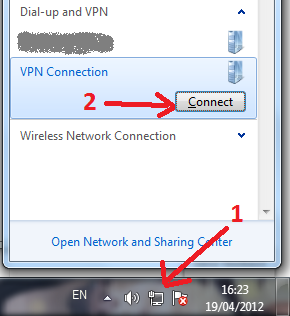 Click "Close"
Back to "Network and Sharing Center"
Right click at new VPN Connection icon you just made. 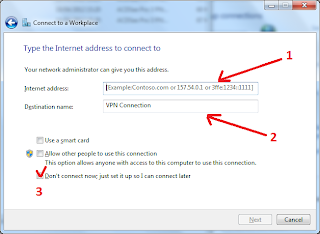 Click "Properties"
If you already done all the configuration above, you can try to connect to VPN PPTP. 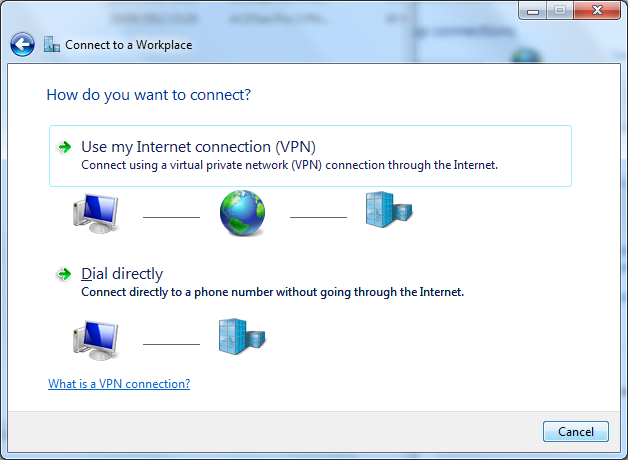 Click icon Network and click "Connect" at taskbar. 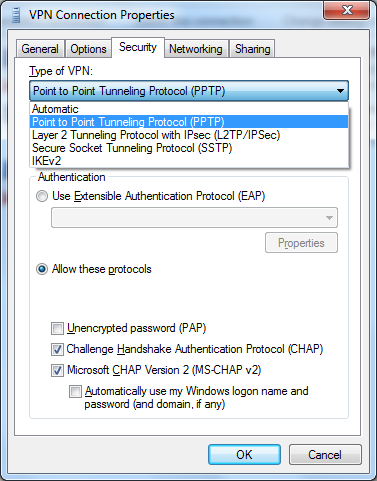 Congratulation you already connect to VPN PPTP.